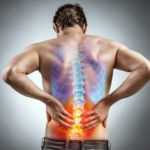 Fibromyalgia is a chronic connective tissue disorder. 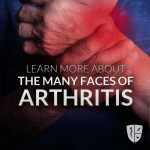 Common symptoms include widespread pain, fatigue and weakness. This disorder is characterized by tender points in specific locations on the neck, back, arms and legs. For those with fibromyalgia, even light pressure on these areas can cause pain. This pain often continues for weeks or months. Patients with fibromyalgia often report headaches or facial pain that might be related to the tenderness in their neck and shoulders. The disorder is also associated with anxiety, depression and sleep disorders. One common complication of fibromyalgia is called Central Sensitization. This development causes normal inputs from the peripheral nervous system begin to produce abnormal responses. Nerves that would usually only be activated by more severe stimuli are now triggered by light touch. A physician will collect a history of symptoms from the patient and by perform a physical exam to demonstrate tender points on the body. If patient has experienced pain for at least three months and has at least 11-18 locations that are abnormally tender, the doctor will diagnose. If the patient has a history that is similar but is tender in non-fibromyalgia areas or has less than 11 tender spots, the patient is diagnosed with Myofascial Pain Syndrome. Treatments for the two conditions are very similar. In general, fibromyalgia treatments consist of both medication and self-care. The emphasis is on minimizing symptoms and improving general health. No one treatment works for all symptoms. Since fibromyalgia can cause both physical and emotional discomfort, treatment must address both to be successful. Physical, exercise or aquatic therapy can help build muscle and help with stress management. The doctor may recommend that the patient undergo trigger point injections, use a TENS unit or consider alternative therapies such as cognitive behavioral therapy, yoga, acupuncture and massage therapy. Drug therapies by themselves tend to have mixed outcomes, but the use of a non-steroidal anti-inflammatory (NSAID), muscle relaxant or acetaminophen can be beneficial when combined with other types of treatments. Medications can help reduce the pain of fibromyalgia and improve sleep. Common choices include pain relievers, antidepressants and anti-seizure drugs. Over the counter pain relievers such as Tylenol, ibuprofen or naproxen sodium (Aleve, etc) may be helpful. The current health provider might prescribe a pain reliever such as tramadol. Narcotics are not advised, because they can lead to dependence and could potentially worsen pain over time. Antidepressants may help ease pain and fatigue associated with fibromyalgia. A health provider may prescribe the patient with amitriptyline or the muscle relaxer cyclobenzaprine to help promote sleep. Lastly, medications designer to treat epilepsy are often useful in reducing certain types of pain. Gabapentin could be useful in reducing fibromyalgia symptoms, but Lyrica was the first drug approved by the FDA for the use of fibromyalgia treatment. A variety of therapies can help a patient with their fibromyalgia treatment plan. Examples include physical therapy, occupational therapy and counseling. A physical therapist will show the patient exercises that will improve strength, flexibility and stamina. In this circumstance, water-based exercises might be particularly helpful. An occupational therapist can help a patient make adjustments to his/her work area or the way he/she performs certain tasks that will cause less stress on the patient’s body. Lastly, talking with a counselor can help strengthen a patient’s confidence in his/her abilities and teach the patient strategies for dealing with stressful situations.